The King in Yellow is an oldie but a goodie. It was written by a fellow named Robert W. Chambers and was originally published in 1985. Chambers has the distinction of having been one of those rare classic writers who was actually successful during his lifetime. And he didn’t kill himself or turn to substance abuse to prop himself up under the weight of his own genius. I know, right? That’s the anomaly of anomalies in classic literature. Of course, he mostly wrote romantic fiction to pay the bills, but still. The King in Yellow is a collection of short stories divided into two parts. 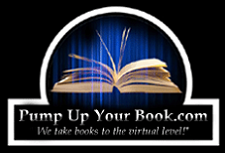 The first part is composed of a series of weird and macabre tales, and the second is a handful of Victorian romances. A weird combo to say the least. That’s what I thought, and that’s why I was happy to find that my copy left out the romance stuff and included only the horror. Not that I mind romance in judicious doses, it’s just that Victorian romance is about as entertaining as full body laser tattoo removal. Pretty sweet, ain’t it? Creepy as hell, too. That’s another one of the things Chambers pioneered in horror fiction—the use of ambiguities to enhance the dread. He throws out names like “Carcosa” and “Hastur” as well as strange terms like “twin suns” and “black stars,” made all the creepier because he never explains what they are and lets the reader ponder the possibilities themselves. Lovecraft borrowed this technique, and so have other authors throughout the history of the genre. And speaking of that, Lovecraft also borrowed the term Hastur—which Chambers had previously lifted from Ambrose Bierce’s “Haita the Shepherd.” Interesting, huh? You can use that little tidbit to impress people at parties. As for the stories themselves, they run the gamut from dystopian science fiction (“The Repairer of Reputations”) to zombies (“The Yellow Sign”) to time-travelling romance (“The Demoiselle d’Ys). They’re delightfully macabre, and I enjoyed them immensely. An understated aura of foreboding pervades the stories, keeping you enthralled even if it generally takes the tales a little while to develop. My only real complaint is that the book was so short—only five tales. Of course, there would have been more if the romances were still in there, but we already covered that before, didn’t we? I love this kind of stuff. It should come as no surprise that I enjoyed the book, but not everyone likes horror, let along turn of the century “weird” fiction. 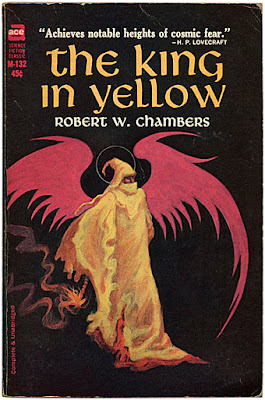 Chambers was a man ahead of his time, and for that reason I give The King in Yellow four out of five stars. That being said, please be aware that your mileage may vary. I really like the rhyming and rhythm of your excerpt. I have never heard of this book but it sounds really good. Nice review. 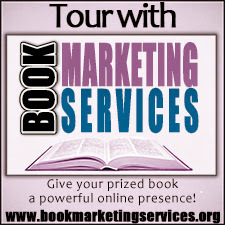 Thank you Donna, and thanks for stopping by!